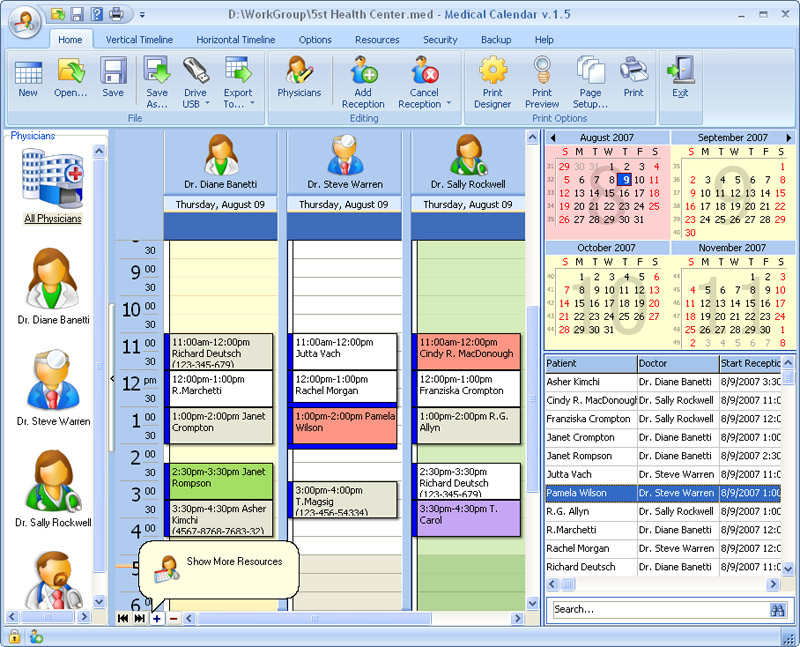 Medical Calendar for Workgroup 4.5 - Download Win Apps. Medical Calendar is a doctor-oriented scheduler with a handy navigation system.. This is a more powerful version of Medical Calendar, with all of the features of the standard version, but with the additional capability to share data in real time over the network. It supports infinite number of profiles and has a well-organized navigation system. The scheduler allows you to password protect information and comes with a rich set of print templates. The ideal alternative to manually tracking patients.